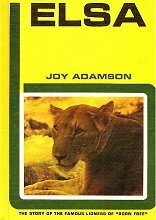 Joy Adamson's touching and remarkable TRUE story of a lion cub in transition between the captivity in which she is raised and the wild to which she is returned captures the abilities of both humans and animals to cross the seemingly unbridgeable gap between their radically different worlds. It clearly shows that even wild animals are individuals capable of great trust, understanding and affection. Many photos. Video with same title. This true account of Elsa's life and the Adamson's determination to return her to the wild with her own kind stands the test of time as a great story, wonderfully written. 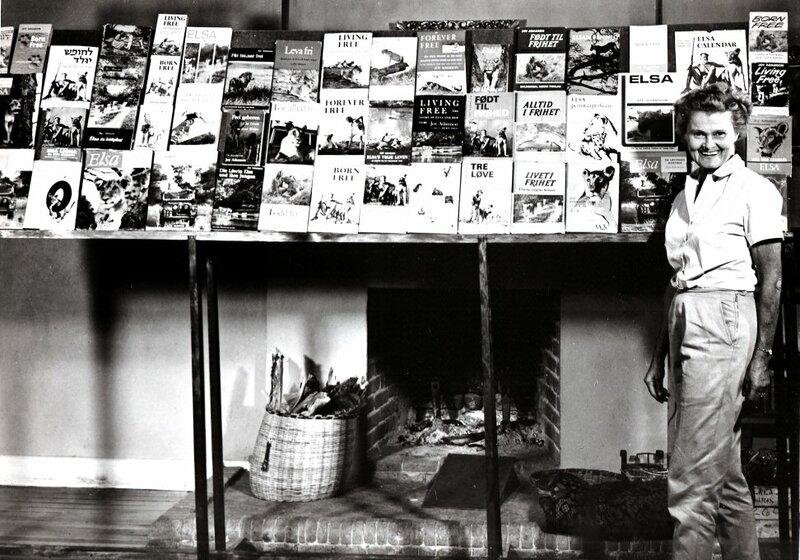 The movie, Born Free, received Oscars for Best Original Score and Best Song and the movie was nominated for an additional Academy Award. BORN FREE was also nominated for three Golden Globes awards, "Best Picture-Drama", Best Actress for Virginia McKenna and "Original Song"! The final volume of the most beloved animal story of our time. About Pippa the Cheetah. 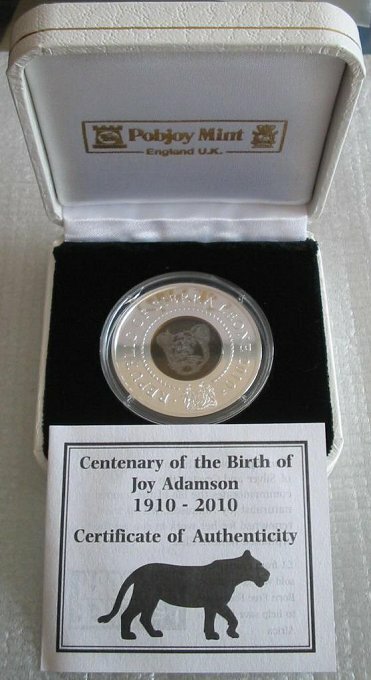 Extraordinary record of the three years during which Joy Adamson watched over the development of Pippa and her young. The author's photographic coverage of the story is complete and beautiful. About Pippa the Cheetah and her cubs. 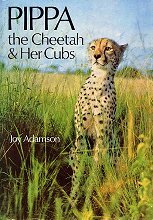 Pippa, the cheetah whose release into the wild life Joy Adamson described so vividly in the Spotted Sphinx, and her offspring are the chief characters in this absorbing book. Joy's autobiography. 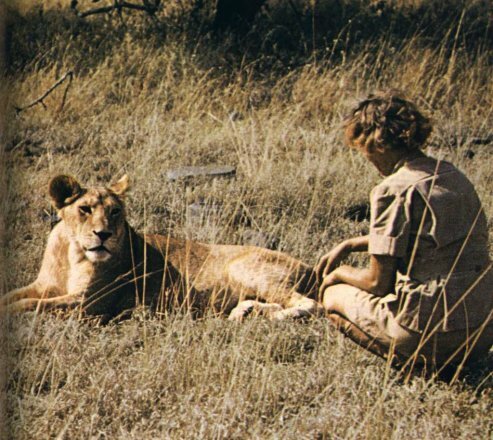 Many thousands of people throughout the world know about the lives of Joy Adamson's celebrated animal friend: Elsa the lioness, Pippa the cheetah. In this her autobiography, she gives us her own story that of a woman of endurance and dedication. She grew up in Austria studying music and sculpture but Africa and conservation was to be her destiny. Story of Penny the Leopard. Queen of Shaba records Joy's life with Penny, a female leopard whom she raised at her home at Lake Naivasha, with the intent to release her to the wild in Shaba (in Kenya, East Africa) when Penny reached maturity. Splendid photographs, document the beauty and gracefulness of the leopard and admirably complement the text. NOTE; There is a lovely Lodge/Camp called 'JOY'S CAMP'. See note below. Story about the Colobus Monkeys and Verreaux's Eagle Owls at Elsamere. 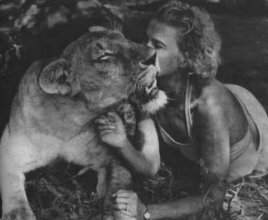 In her devotion to wildlife, her patience and accuracy in observing and recording it, Joy Adamson notably bridged the gap between man nature. 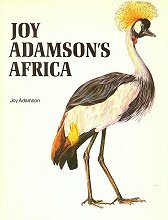 This remarkable collection of pictures is a testament to Joy Adamson's many gifts and to the scope and intensity of her exceptional and rewarding interests in the natural life of Africa. 654 pages PLUS 31 pages of colour plates illustrated by JOY ADAMSON, 80 mono plates & with 110 illustrations in text. Fold out MAP attached in rear of book. A classic authoritative work, now very scarce. Published by Buchanans Kenya Estates Ltd AND with the authority of the Government of the Colony & Protectorate of Kenya. Also learn how to travel where the Adamsons lived! Joy was born Joy Friederike Victoria Gessner in Troppau [now Opava], Silesiaon on the 20th of January 1910.
supposedly by a former employee who was angry about being fired for theft. and written in several languages and enjoyed by people around the world. 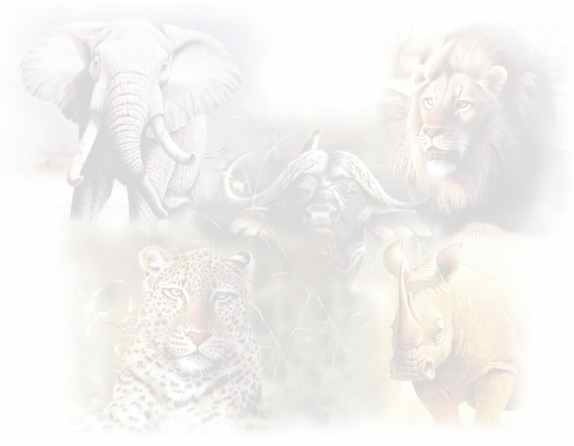 the 50th anniversary of her popular book �Born Free�. See Details in the 'Collectibles' web page on this site.